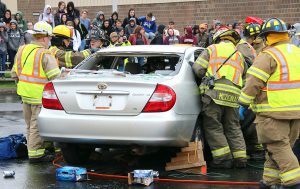 PHOENIX – Juniors and seniors in the Phoenix Central School District received a sobering lesson during a recent mock DWI presentation. 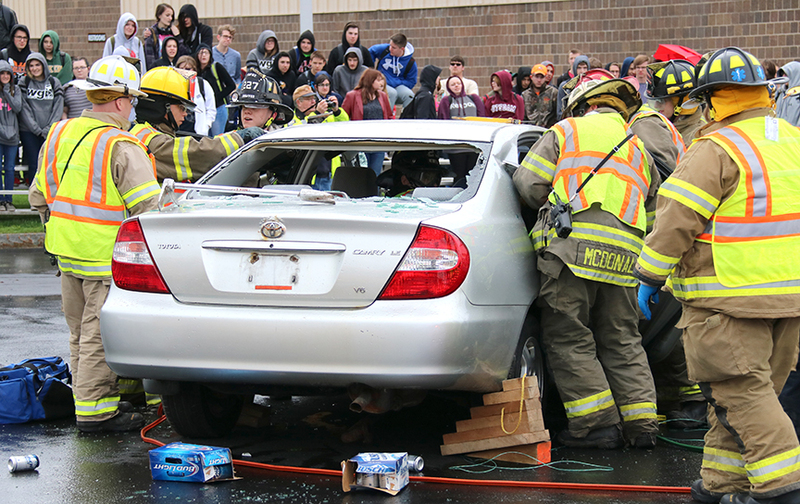 A mock DWI crash scene unfolds recently at Birdlebough High School as part of a STOP DWI informational presentation. Every other year, in the weeks leading up to prom and before summer break, the district teams with the Oswego County STOP DWI program to teach high school students about the dangers of drunken and distracted driving. 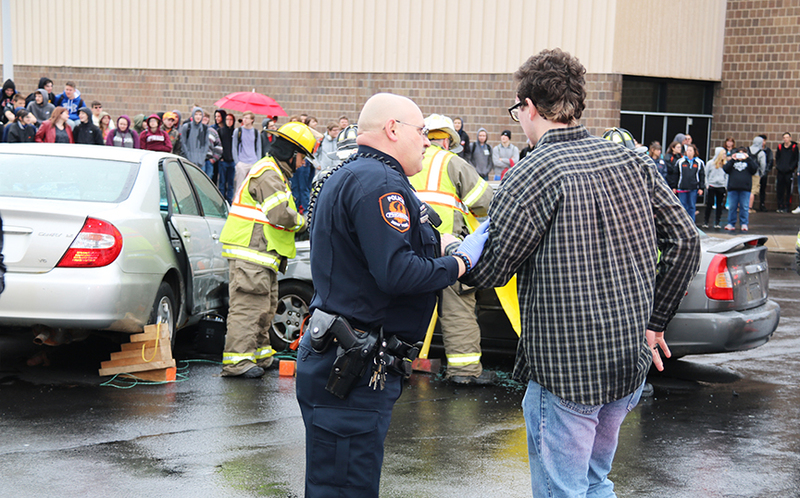 This year, students learned about the legal and personal ramifications of impaired driving. Students participate in a mock DWI. The simulation was a collaboration among local first responders, the Phoenix Central School District and the Oswego County STOP DWI program. In addition to staging a fatal DWI crash, local first responders were on scene to provide a realistic portrayal of the death notification, the court process, and the lasting impact on all family members and friends. Following the presentation, students had an opportunity to ask questions and were provided with additional resources related to impaired and distracted driving.